Sometimes when you discover something, you instantly wonder why it didn’t occur to you to invent it. For me, this was one such thing. 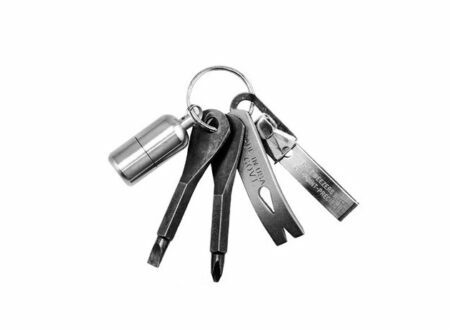 Built by Kaufmann Mercantile this multi-function key chain has both a flat-head and cross-head screwdriver, a pry bar, a lighter and a pair of tweezers.